A pair of tiny robots released by the Hayabusa2 space probe touched down Saturday on an asteroid 300 million km from Earth, JAXA said. 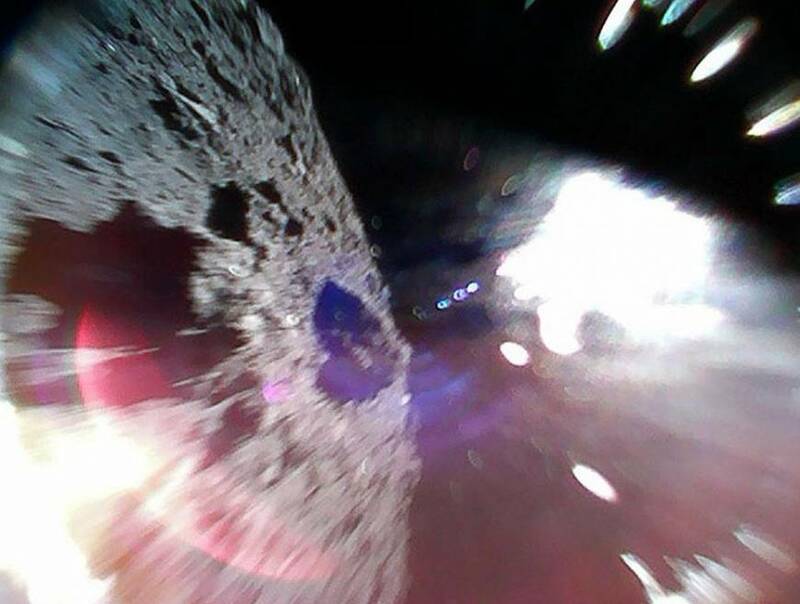 The cylinder-shaped Minerva-II1 explorers will take photos and temperature readings on the asteroid Ryugu before the main probe lands, the Japan Aerospace Exploration Agency (JAXA) said. Measuring just 18 cm by 7 cm and weighing roughly 1 kg, the two explorers will travel across Ryugu’s surface by hopping because its gravity is so weak that rolling along the surface is too difficult. 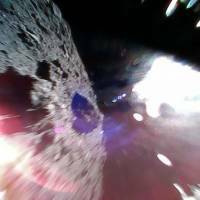 If they succeed, the explorers will have conducted the world’s first moving, robotic observation of an asteroid’s surface. Hayabusa2 was launched in December 2014 to gain clues on the formation of the solar system and the origin of life. It is scheduled to stay on the asteroid for about a year and a half before returning to Earth in late 2020, JAXA said. Its predecessor, the Hayabusa, returned to Earth in June 2010 after a seven-year journey that took it to the asteroid Itokawa to conduct scientific observations. Hayabusa means peregrine falcon in Japanese. Next month, the Hayabusa2 will deploy an “impactor” that will explode above the asteroid and shoot a 2-kg copper object into its surface to create a crater a few meters in diameter. The probe will use the crater to collect “fresh” materials unexposed to millennia of wind and radiation in an attempt to glean answers to some fundamental questions about life and the universe, including whether elements from space helped give rise to life on Earth. The probe will also release a French-German landing vehicle named Mobile Asteroid Surface Scout (Mascot) for surface observation.